We are very close family, having 3 children of our own and two grandchild who we love dearly. When our children were young our lives were so busy, Maternity & Newborn photography was not heard of and did not invest in having professional portraits of these very magical times. Now that our children are older we understand the importance of capturing every stage, unfortunately we missed out on their early days and the innocence of our babies when they were just Newborn… If only we could turn back time. 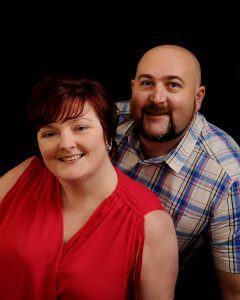 We felt so passionate about capturing our memories that in 2009 we opened our own photography studio. Over the years we found our true love in photography which is capturing the innocence of Newborn’s, from their pouty lips to their tiny toes… When our first granddaughter was born a few years ago we made sure we captured her Newborn innocence and now a few years on we cannot believe on how quick the time has passed us by and very grateful we can look back and cherish those very first weeks. The photography industry is unregulated so we would stress you choose your photographer wisely. We have also taking it upon ourselves to become members of the following Association and abide by strict codes of conduct. Darren has been awarded a Licentiate in Newborn Photography. 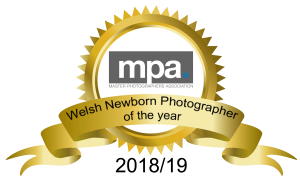 He has also received a newborn safety certification (currently only held be 5 photographers in Wales). Darren has been awarded Pro-membership with BANPAS. Darren has been awarded his Licentiate.